Ugo Colombo’s THE COLLECTION was proud to be one of the sponsors for this year’s South Beach Wine & Food Festival. The Food Network & Cooking Channel South Beach Wine & Food Festival is presented by FOOD & WINE. It a star-studded four-day event that showcases some of the world’s most renowned chefs, culinary personalities, and wine and spirits producers. This year’s event was hosted by Florida International University (FIU) and Southern Wine & Spirits of Florida. The Festival benefits Southern Wine & Spirits Beverage Management Center and FIU’s Chaplin School of Hospitality & Tourism Management. As of today, the Festival has raised over $22 million for the School. The South Beach Wine & Food Festival occurred on February 24-28 and they celebrated their 15th year! Guest personalities included award-winning actress and host of Valerie’s Home Cooking on the Food Network, Valerie Bertinelli; award winner and host of three shows on Food Network, Ted Allen; and rock and roll legend Gregg Allman. 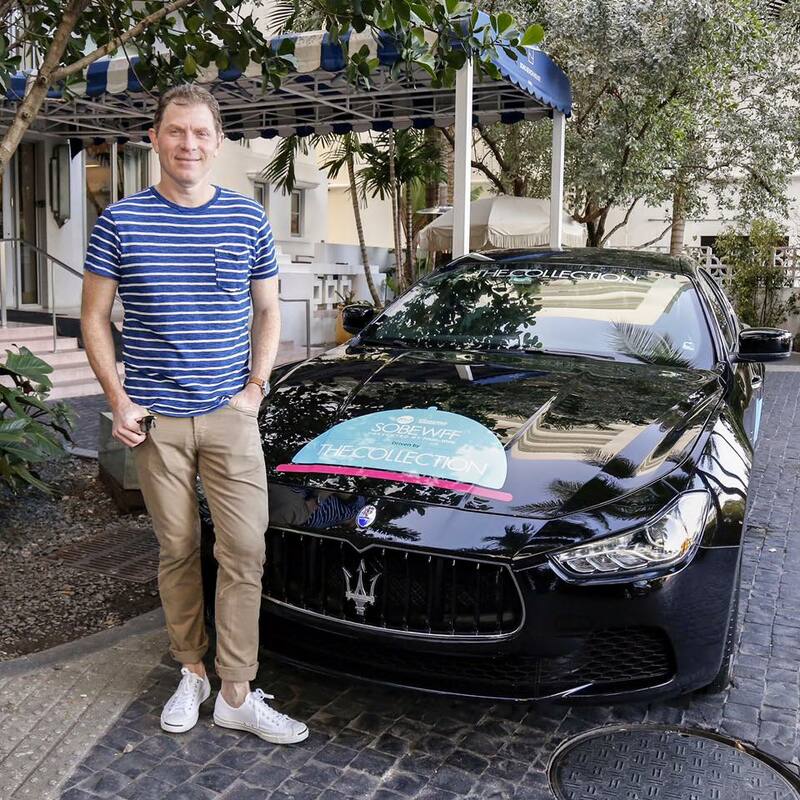 In addition to being a co-sponsor THE COLLECTION helped two celebrity chefs (Bobby Flay and Robert Irvine) arrive in style with our 2016 Maserati Ghibli. Another great Festival! Bon appétit! This entry was posted in News and tagged South Beach Wine & Food Festival, The Collection, Ugo Colombo on February 28, 2016 by Ugo Colombo.